Most of the Heated Pools in Elbe-Elster Landkreis offer you both open lanes for independent swimming and also guided activities like water aerobics or aquabike. We currently have the following Swimming Pools, but we are always grateful for any corrections or contributions. Get in touch via our make contact with type. If you are visiting Elbe-Elster Landkreis ensure you know the rules and regulation for swimming as they may not be the identical as in your household town. The best pools to swim are surely indoor olympic pools. 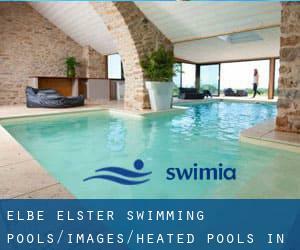 Thanks to some new Heated Pools in Elbe-Elster Landkreis submitted each day, Swimia.com is escalating every day the number of stored pools. Please don't hesitate to contact us if you ever find any inaccurate or incomplete information and facts. Please, use the make contact with information provided at each and every pool profile. Without a shadow of a doubt, swimming in Gröden is the best solution to unwind after perform. Take a couple of minutes to browse Swimia's catalog to find a Swimming Pool in Gröden. Swimming is a excellent concept to keep your body active for the duration of your visit to Schraden (Elbe-Elster Landkreis), or even if you are a local. Swimia helps you to locate your closest Swimming Pool in Schraden. Whereas Crinitz is one of the six most populous cities in Elbe-Elster Landkreis with nearly 1.504 residents, you shouldn't miss that one if you're going to Elbe-Elster Landkreis. Schönborn is one of the main cities of Elbe-Elster Landkreis, so it's need to be uncomplicated to find Swimming Pool in Schönborn. You're running out of excuses to swim, so don't wait anymore and go for it! Let us let you know a secret to switch off although you're in Großthiemig: just pick out a Swimming Pool in Großthiemig and plunge into the water! There's no even more effective process. It's difficult to visit Elbe-Elster Landkreis without having dropping by Tröbitz (with 830 residents). Presently Swimia is showing you all the Swimming Pool in Tröbitz and the closest pools located in its vicinity. Updated on 2019 Sportpark Finsterwalde , Brunnenstraße , Finsterwalde , GERMANY. This sports center gives 25 meters, 5 lanes, Indoors. For this Swimming Pool, only phone number is number here. Updated on 2019 Insel 4 , Eisenhuettenstadt , GERMANY (Postal Code: 15890). Swimmers like you reported 25 meters, 8 lanes, Indoors. Phone number and email address are number for this Swimming Pool. Updated on 2019 Wriezener Strasse 31 , Strausberg , GERMANY (Postal Code: 15344). Swimmers like you reported 25 meters, Indoors. Unfortunately we do not have the email address of this Swimming Pool, but we can give you the phone number. Updated on 2019 Weinbergstraße 55 , Lauchhammer , GERMANY (Postal Code: 01979). This sports center delivers 25 meters, 4 lanes, 1.4 meters - 1.8 meters depth, 1.4 meters - 1.8 meters depth, Indoors. Contact information for this Swimming Pool like phone number and email address are number. Updated on 2019 Newtonstraße 11 , Potsdam , GERMANY (Postal Code: 14480). Among all the activities provided by the center, when you are interested in swimming you may enjoy 25 meters, 5 lanes, Indoors. Just in case you want to contact this Pool just before dropping by, we only know the phone number. Updated on 2019 An der Schwimmhalle 5b , Wittenberge , GERMANY (Postal Code: 19322). Among all the activities provided by the center, for anybody who is considering swimming you can take pleasure in 25 meters, 4 lanes, Indoors. Just in case you desire to make contact with this Swimming Pool prior to dropping by, we only know the phone number. Updated on 2019 Kaltenborner Straße , Guben , GERMANY (Postal Code: 03172). Swimmers like you reported 25 meters, 5 lanes, Indoors. Phone number and e-mail address are number for this Swimming Pool. Updated on 2019 Am Lübbesee 1 , Templin , GERMANY (Postal Code: 17268). Swimmers like you reported 25 meters x 12.5 meters, 2 meters depth, 2 meters depth, Indoors. Unfortunately we do not have the email address of this Pool, but we can give you the phone number. Updated on 2019 Am Kurzentrum 1 , Bad Liebenwerda , GERMANY (Postal Code: 4924). Swimmers like you reported 25 meters, 4 lanes, Indoors. Phone number and e-mail address are number for this Swimming Pool. Updated on 2019 Max-Planck-Straße 1 , Potsdam , GERMANY (Postal Code: 14473). Swimmers like you reported Olympic size, 8 lanes, Indoors. Unfortunately we do not have the email address of this Swimming Pool, but we can give you the phone number. Updated on 2019 André-Pican-Straße 42 , Oranienburg , GERMANY (Postal Code: 16515). This sports center provides 25 meters 12.5 meters, 4 lanes, Indoors. 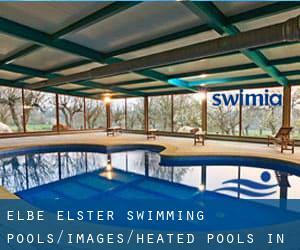 Contact details for this Swimming Pool for instance phone number and e-mail address are number. Updated on 2019 Bruno-Baum-Ring 106 , Rathenow , GERMANY (Postal Code: 14712). This sports center gives 25 meters, Indoors. Contact info for this Swimming Pool which include phone number and email address are number. Updated on 2019 Heegermühler Straße 69 a , Eberswalde , GERMANY (Postal Code: 16225). Swimmers like you reported 25 meters, 5 lanes, Indoors. Unfortunately we do not have the email address of this Swimming Pool, but we can give you the phone number. Updated on 2019 Puschkinstraße 2 , Gruenheide , GERMANY (Postal Code: 15537). Among all the activities offered by the center, when you are considering swimming you may delight in 25 meters x 12.5 meters, 5 lanes, 1.8 meters depth, 1.8 meters depth, Indoors. If you need to get in touch with this Swimming Pool, email address and phone number are both number.